Fall cover crop mix is a ready-to-sow green manure perfect for renewing soils. This mix improves soil health through addition of organic matter, soil aeration, and nitrogen fixation. 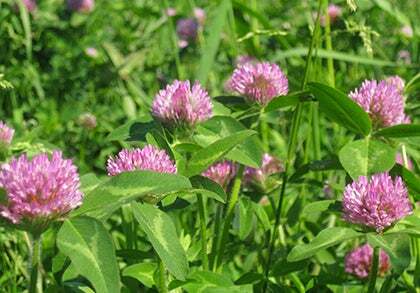 Green manures provide living mulch that protects soils from winter erosion. Take advantage of the fallow season to enrich your soil with this dynamic mix of winter rye, field peas, crimson clover, and hairy vetch. Winter rye, field peas, crimson clover, and hairy vetch combine for extreme soil conditioning. Field peas and crimson clover grow quickly in autumn and provide late-season forage for pollinators. These legume crops fix nitrogen in the soil, converting nitrogen from the air into a form usable by plants. Field peas and crimson clover are killed by winter temperatures, leaving a rich layer of organic matter to feed soils and protect against erosion. 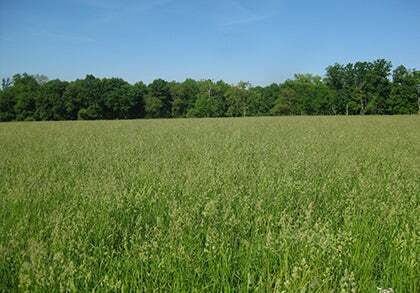 Winter rye provides dense cover that lasts through the winter months. The deep, extensive root system improves soil tilth (structure) and alleviates compaction. Hairy vetch also fixes nitrogen in the soil and provides abundant organic matter. This winter-hardy cover crop blooms in spring. Mow just prior to blooming to kill plants in advance of spring planting. Sow fall cover crop mix in late summer or early fall for vigorous late season growth.